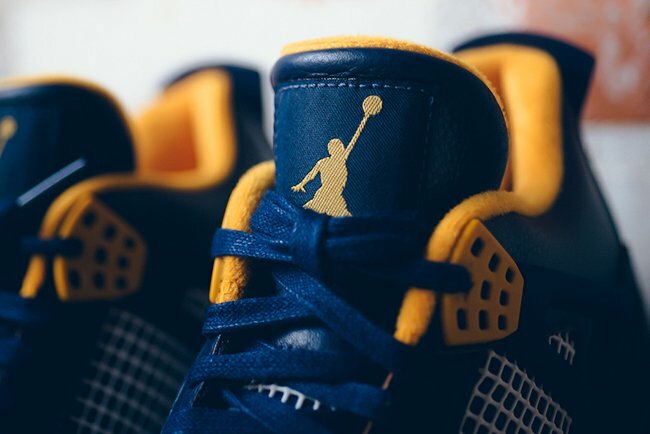 The Air Jordan 4 Dunk From Above is apart of a three pair collection from Jordan Brand inspired by dunking, soaring and of course sky. 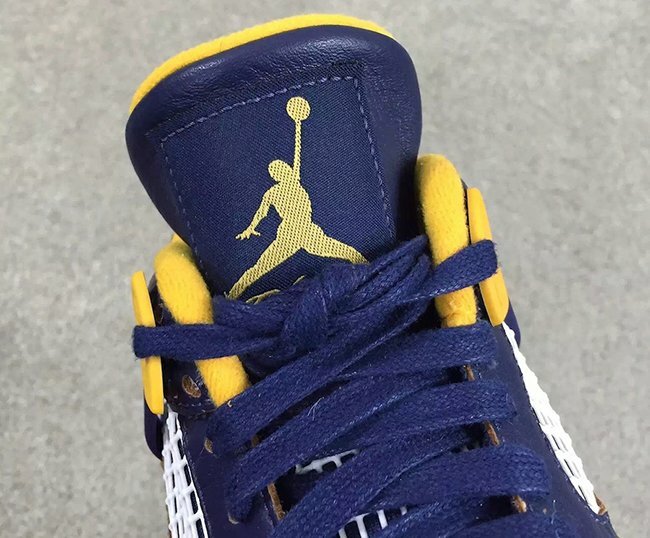 Furthermore, the shoes represent Michael Jordan’s ability to take flight. 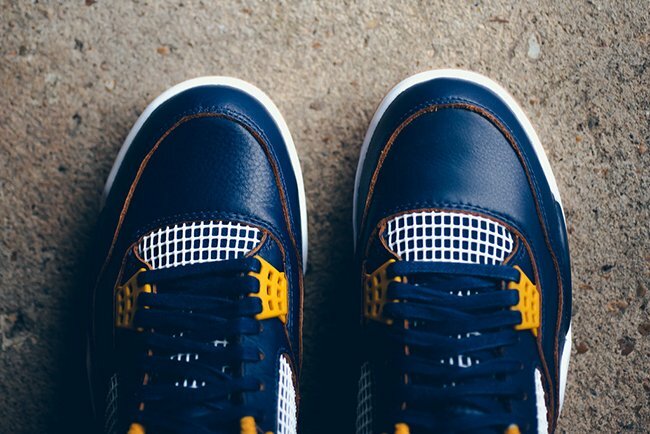 Utilizing midnight navy through the uppers and overlays, JB has added yellow on the eyelets, liner and the inside of the tongue. 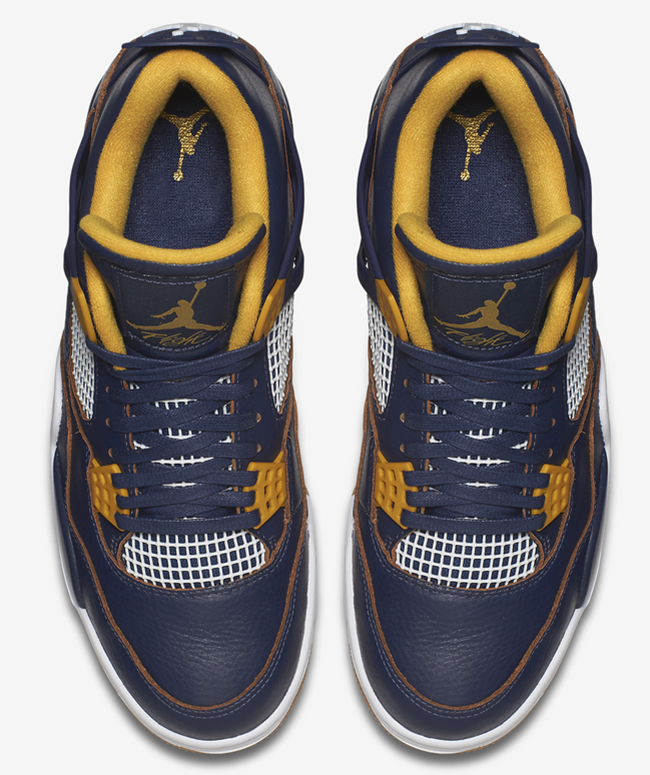 Metallic gold then is applied to the Jumpman logo on the tongue while they are then completed with a white midsole and mesh netting and gum outsole. 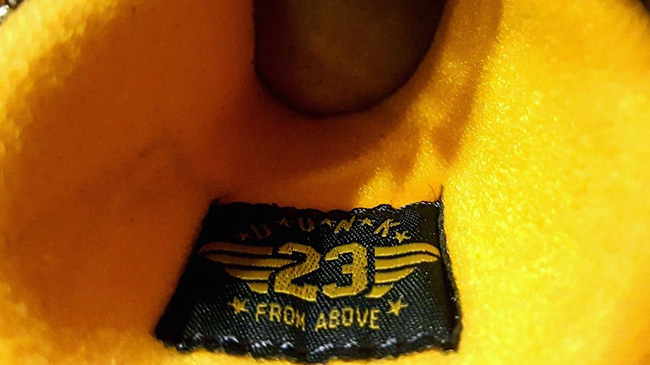 On the inside of the tongue is the number 23 with flight aviator wings. 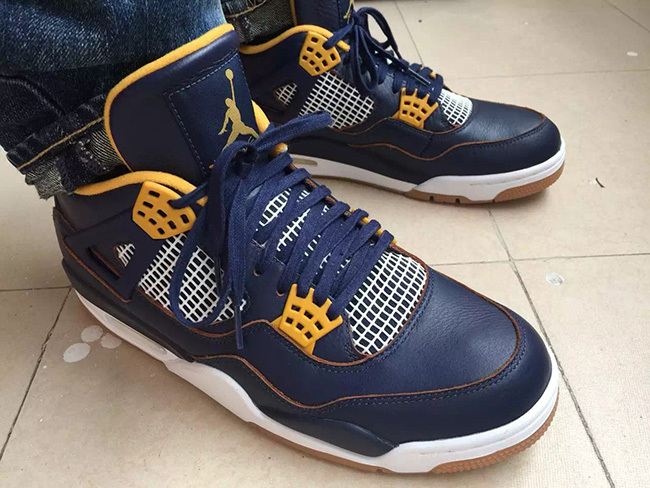 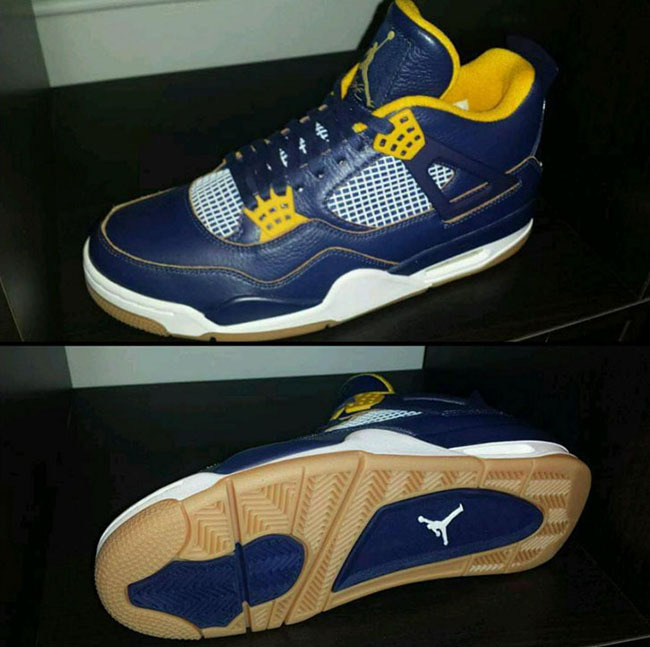 The ‘Dunk From Above’ Air Jordan 4 is slated to release on March 19th, 2016 and it’s reported that they will retail for $190. 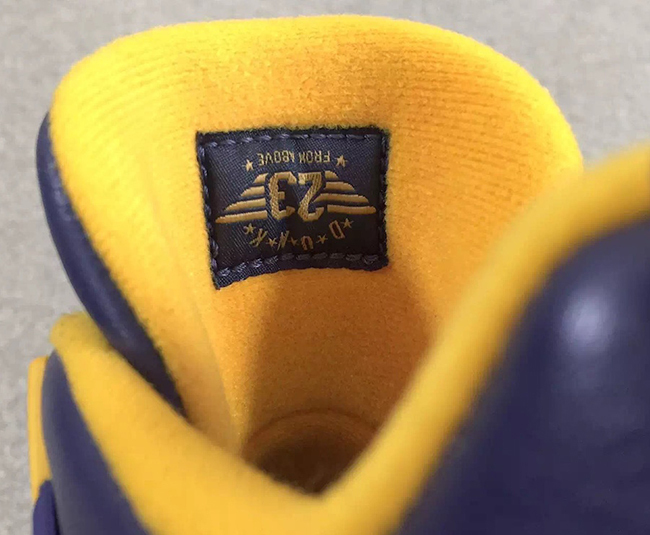 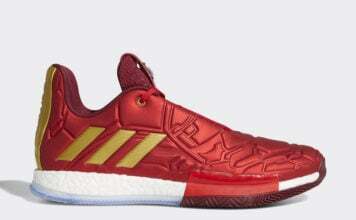 For now you can see additional angles of the sneakers below and stay tuned for more information to come. 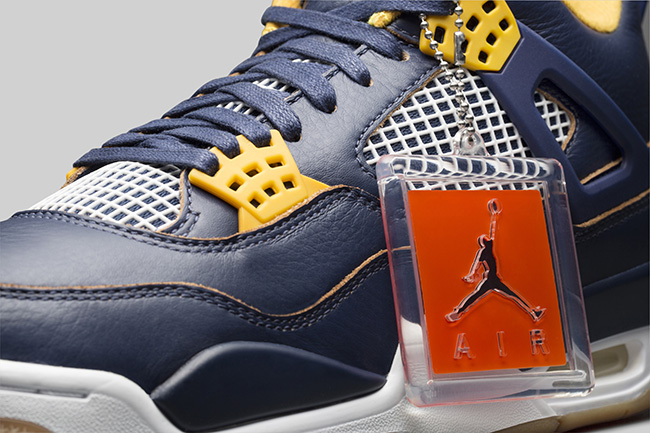 Update: Tomorrow, the Air Jordan 4 Dunk From Above will land at retailers. 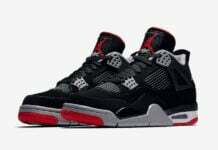 For those that are interested can grab them at Shiekh Shoes retailers. 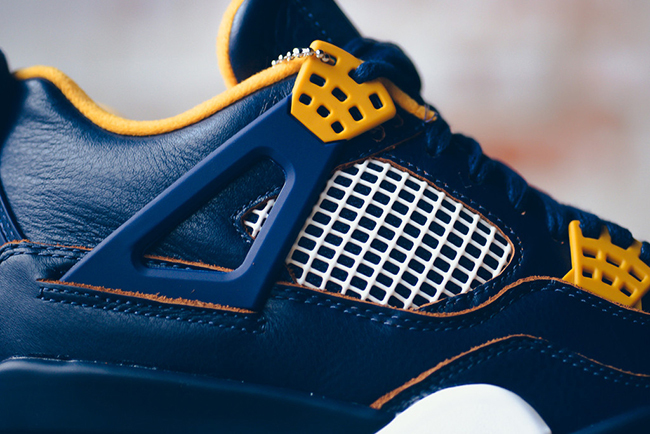 You can also check out our video which shows off the details. 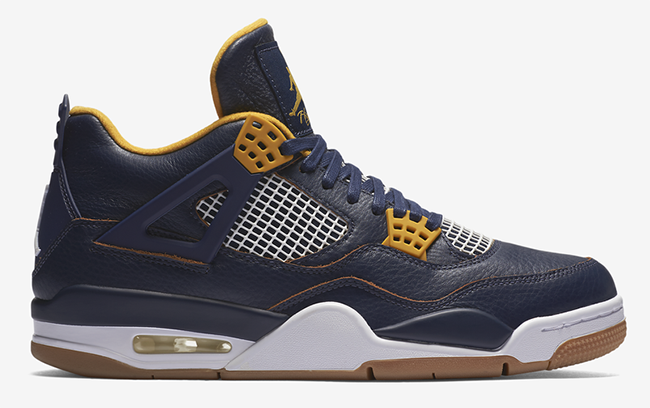 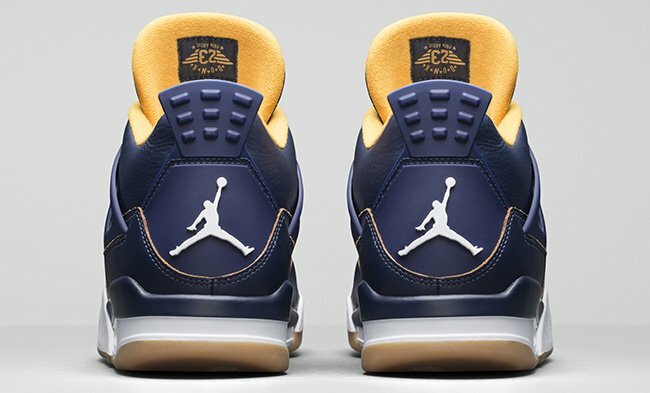 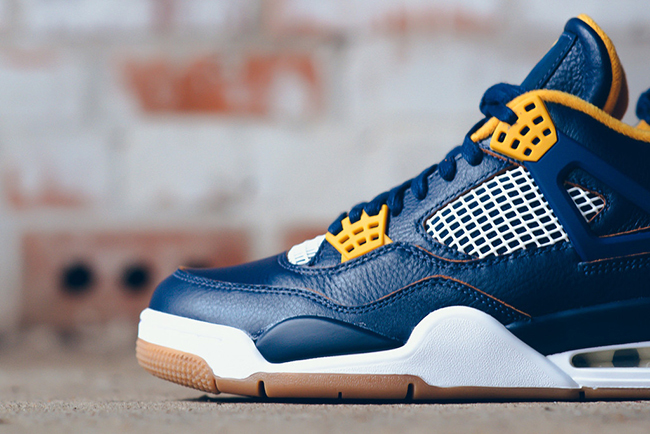 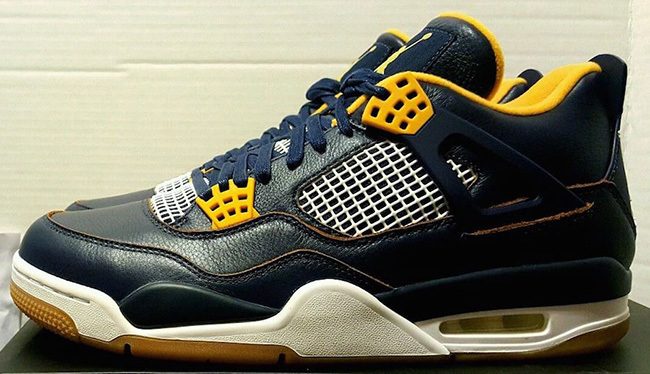 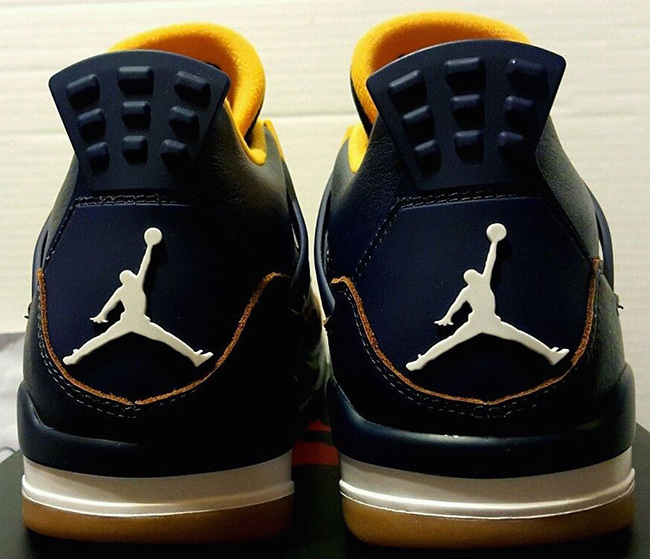 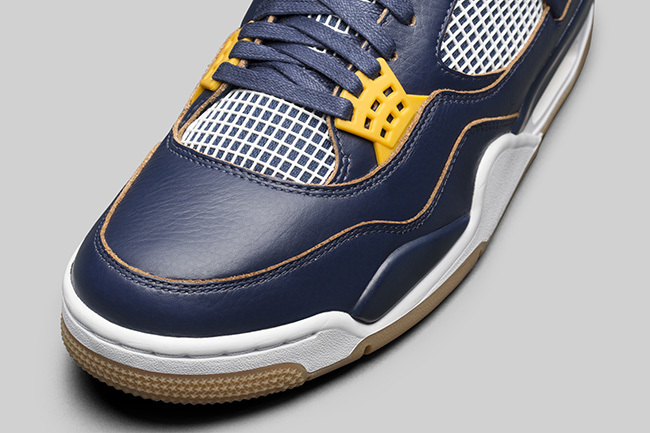 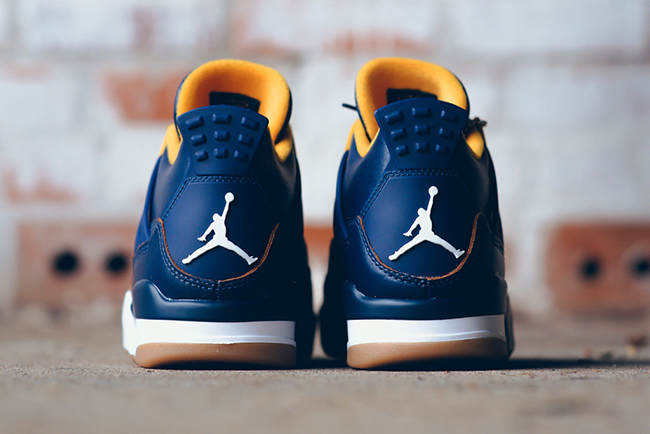 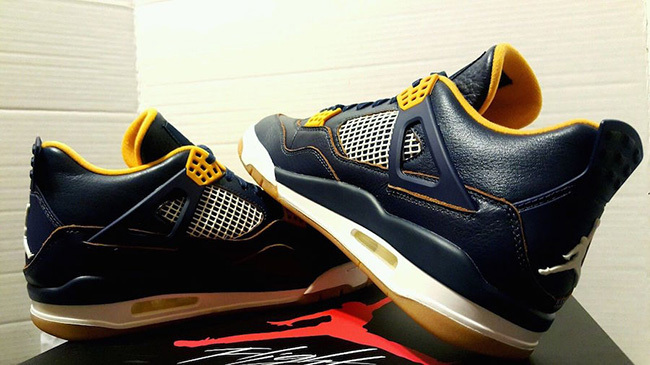 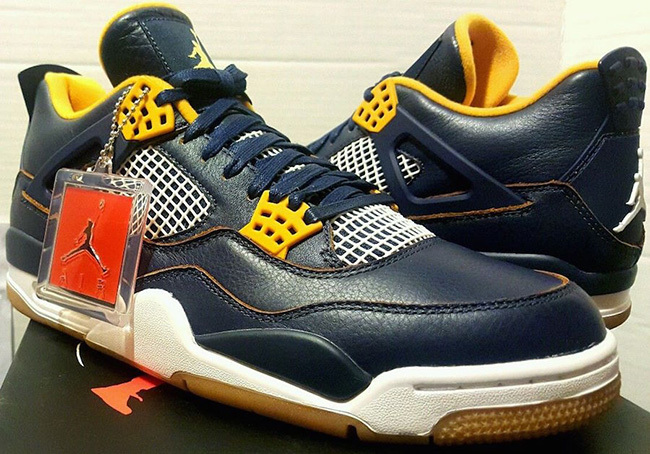 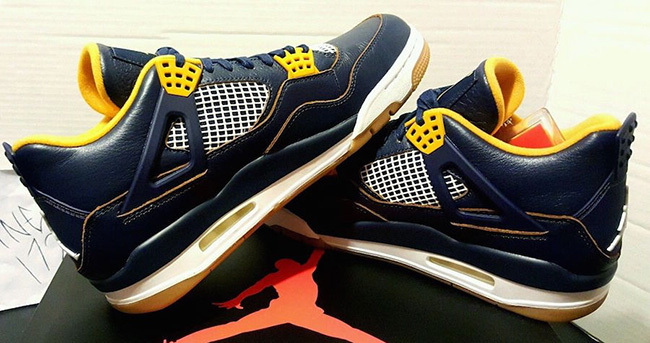 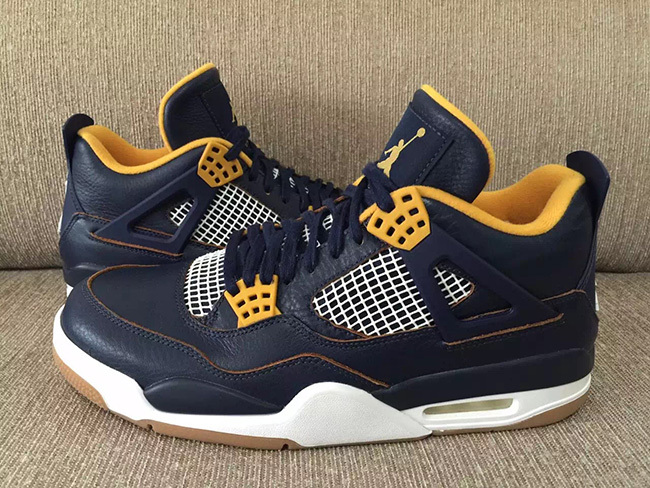 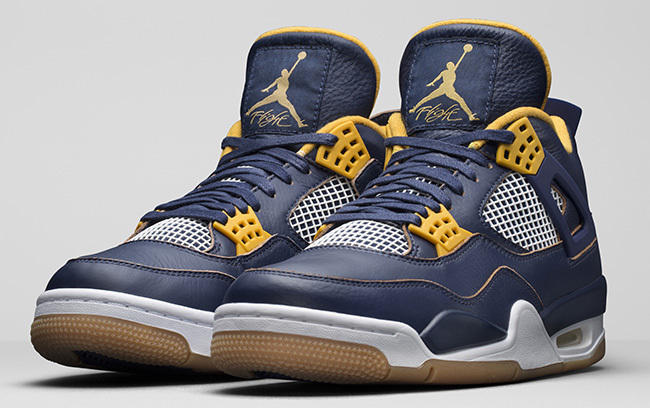 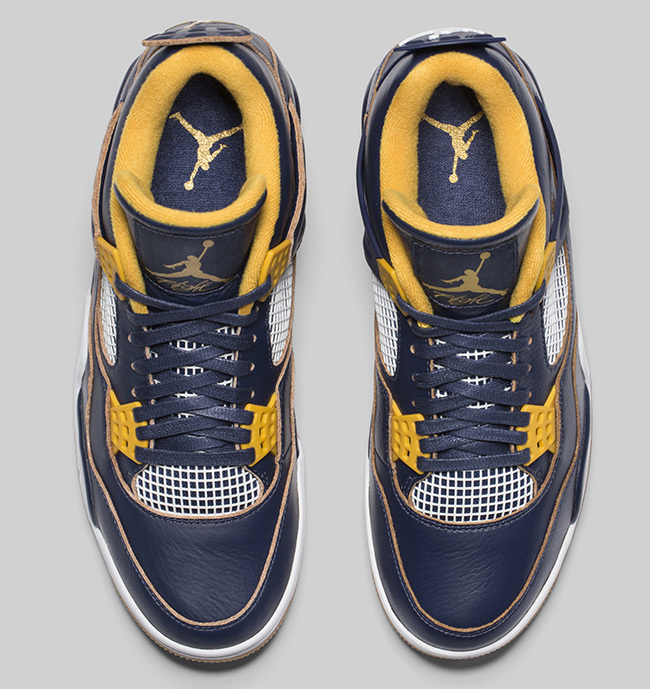 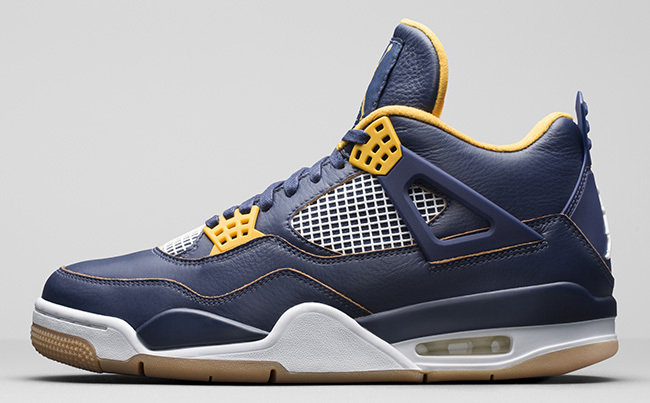 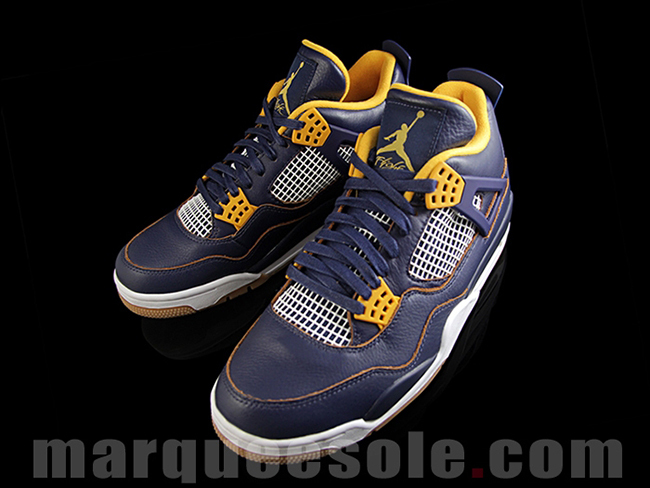 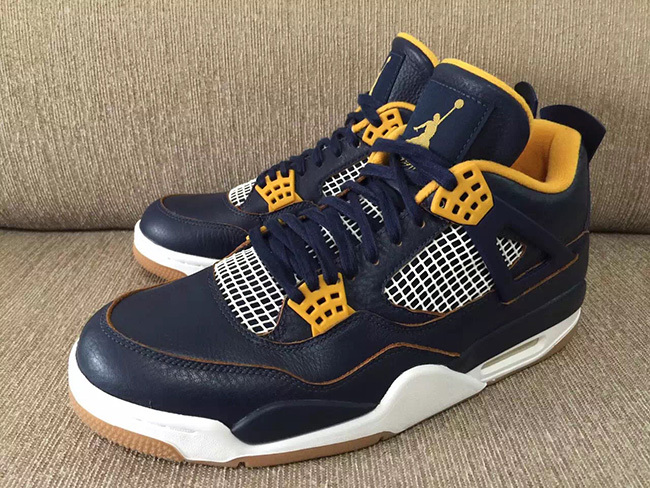 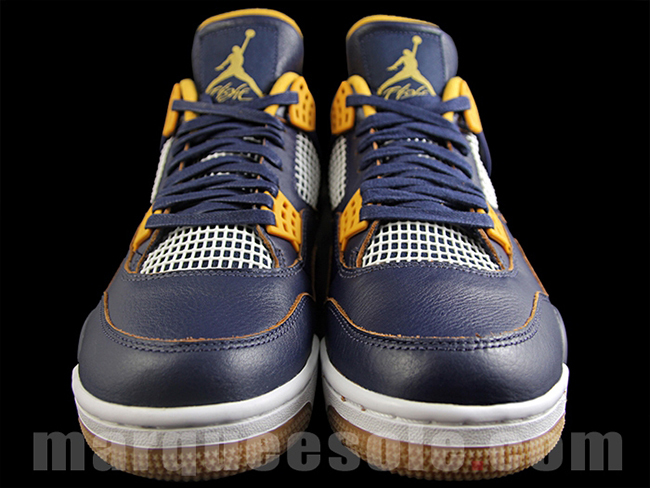 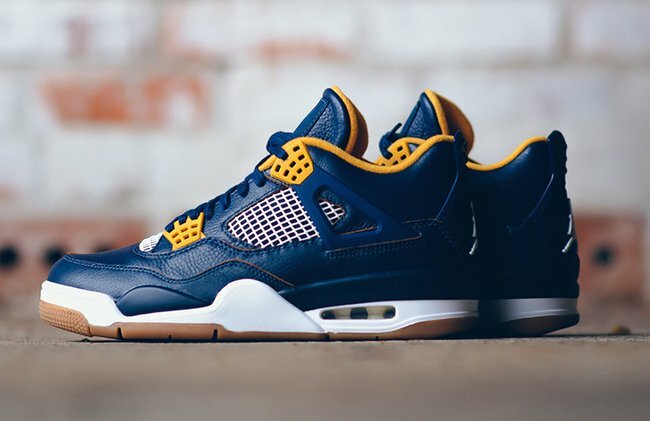 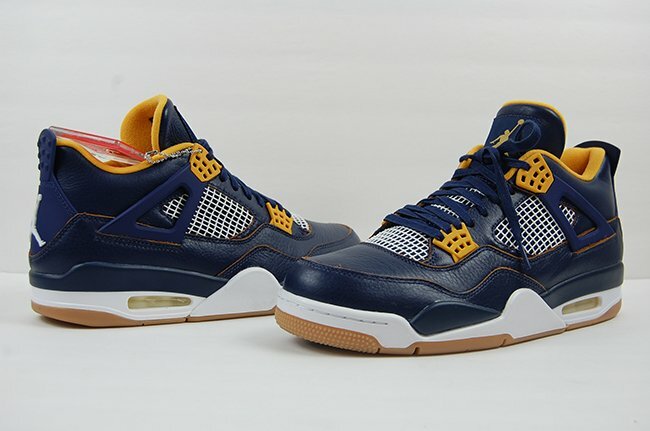 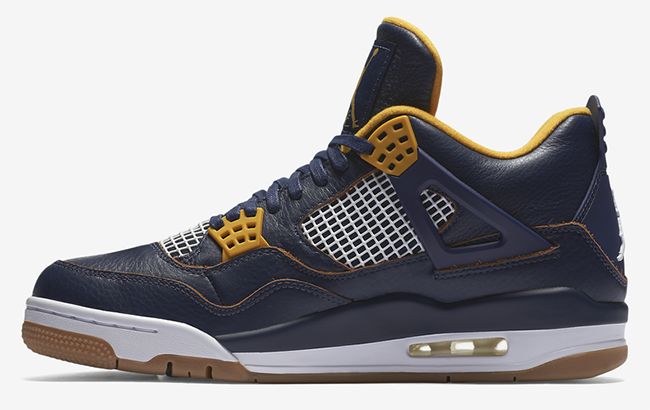 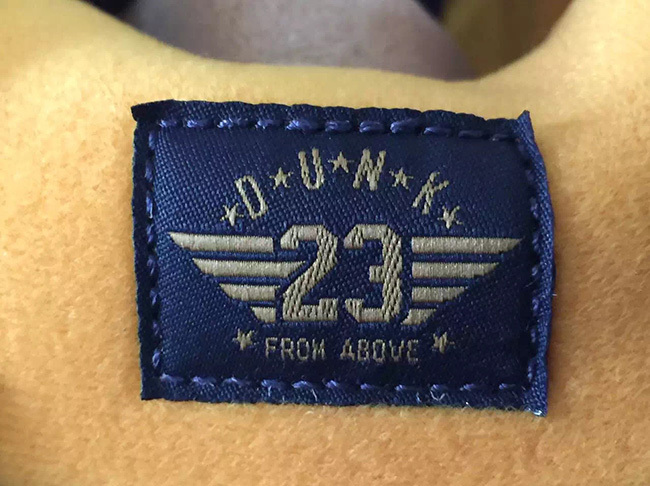 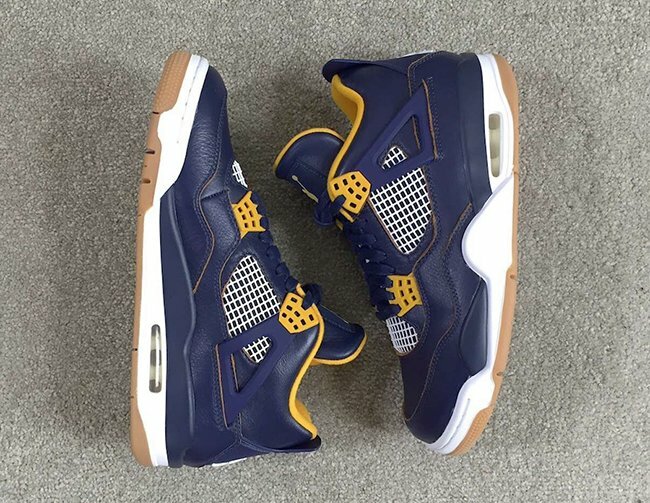 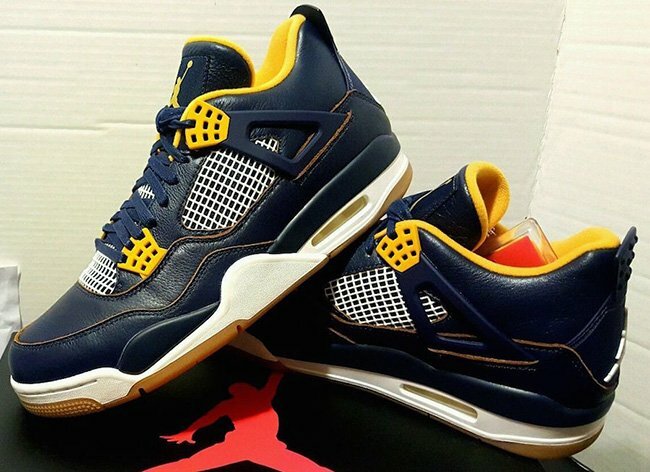 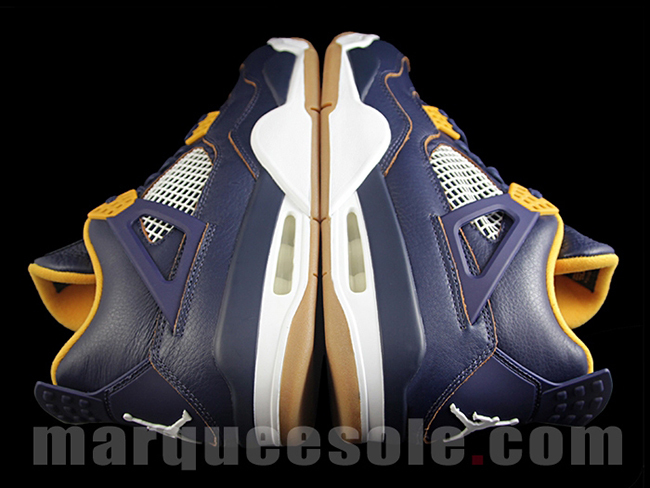 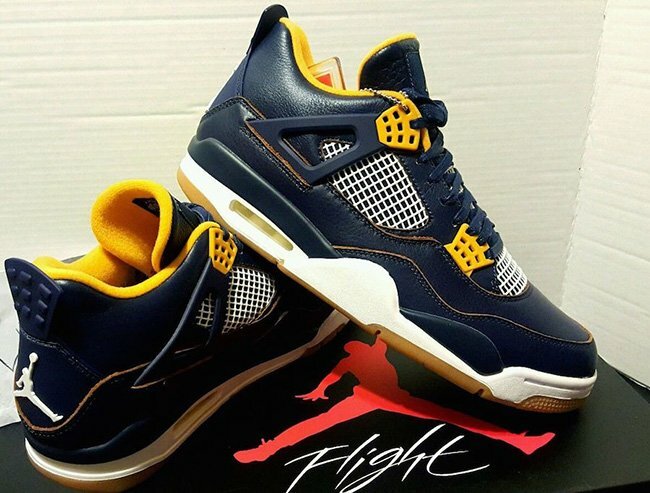 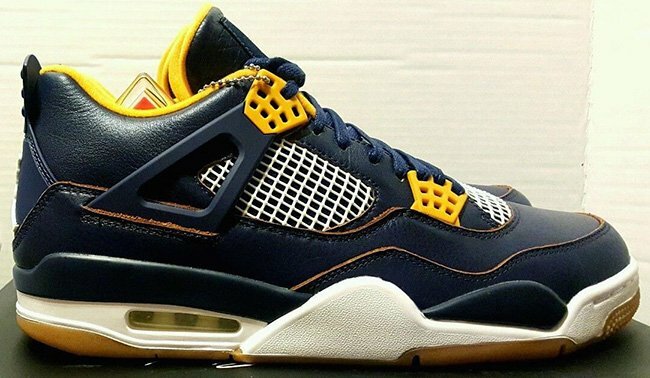 Update: The last release apart of the Dunk From Above collection will be the Air Jordan 4. 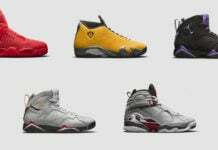 Releasing next weekend, all Jordan Brand accounts will have them including Sneaker Politics. 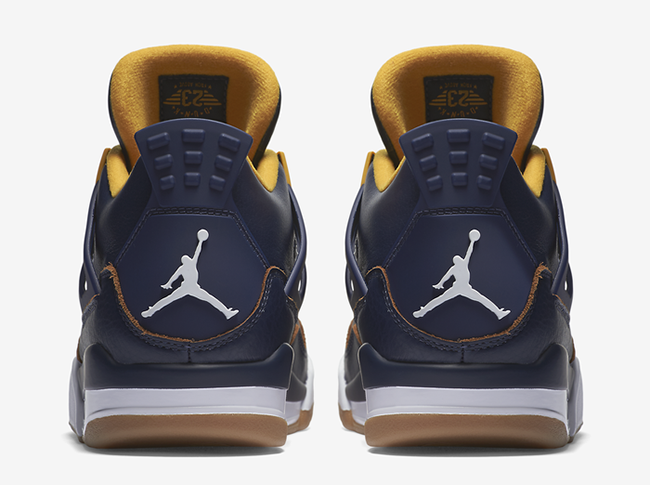 Update: Nike has leaked the official images for the ‘Dunk From Above’ Air Jordan 4 which will release on March 19th for $190. 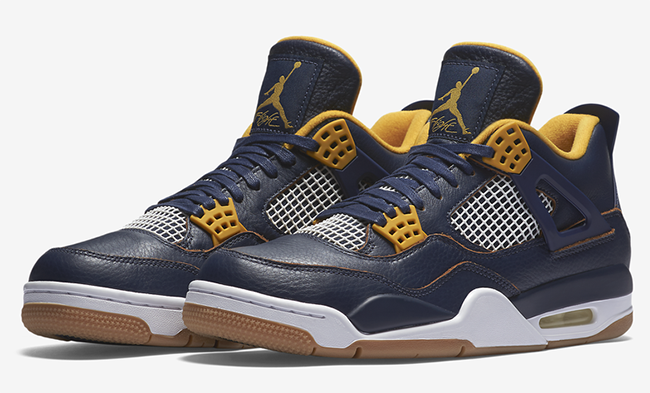 Update: The Air Jordan 4 ‘Dunk From Above’ won’t release until March 19th, however if you’re looking to buy early, sizes are now available on eBay. 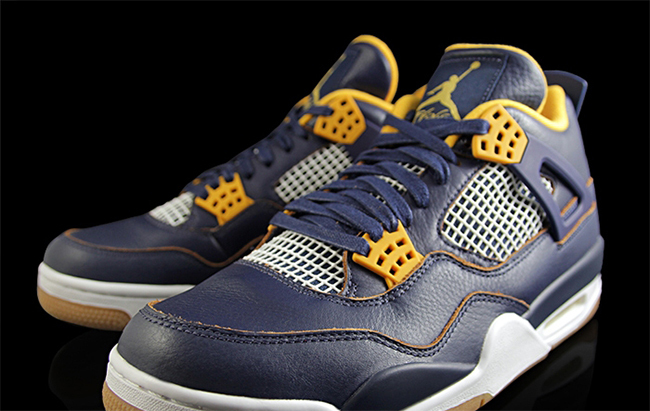 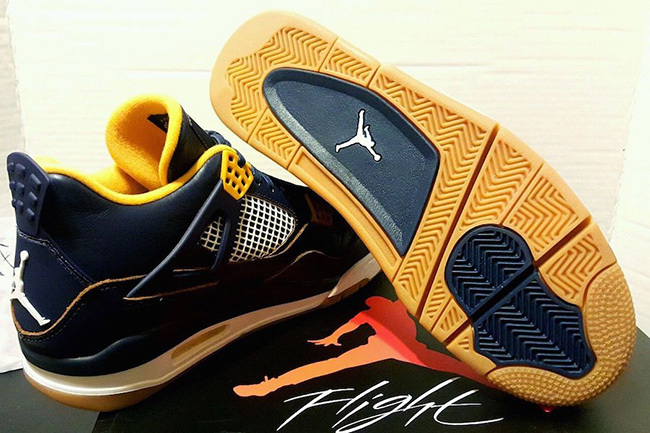 Update: March 19th is when Jordan Brand will debut the ‘Dunk From Above’ Air Jordan 4 which is inspired by flight. 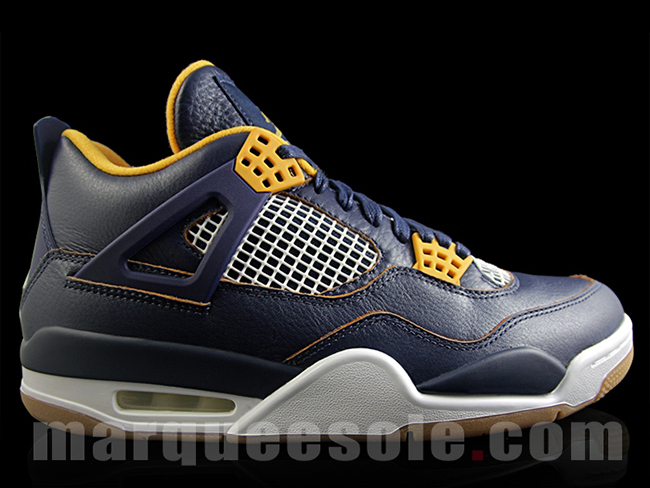 We now have new images showcasing this upcoming release thanks to marqueesole. 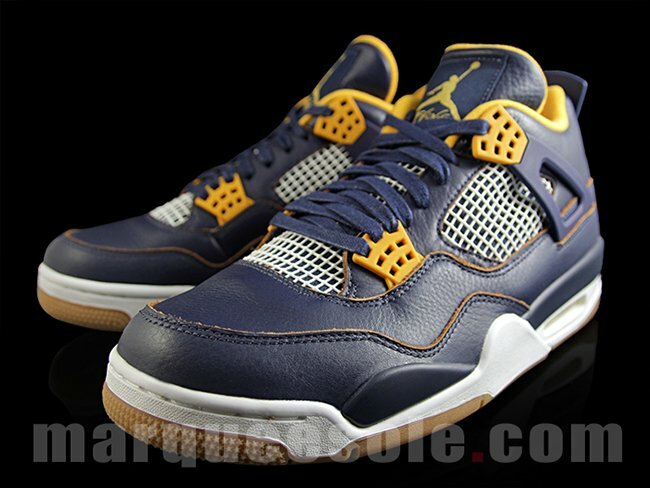 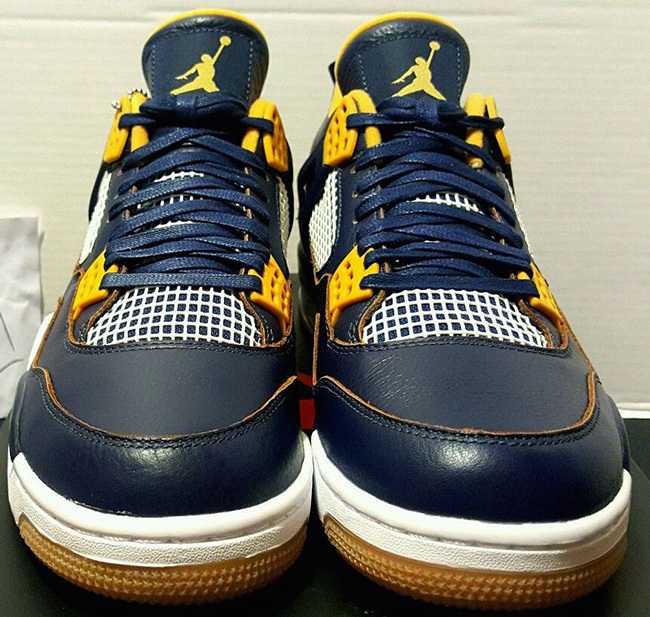 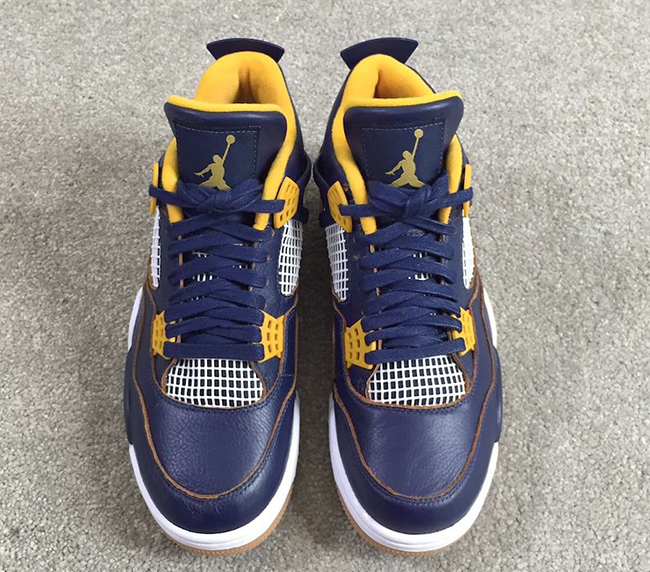 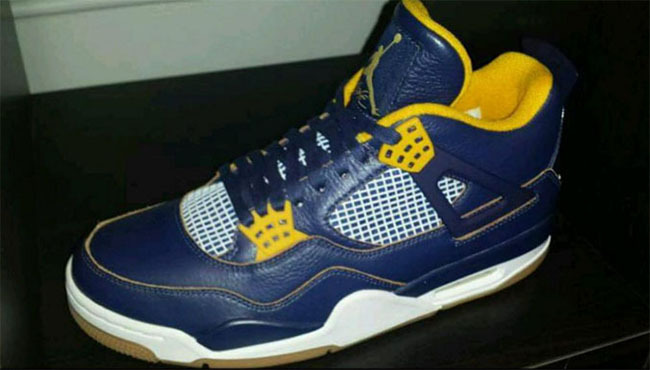 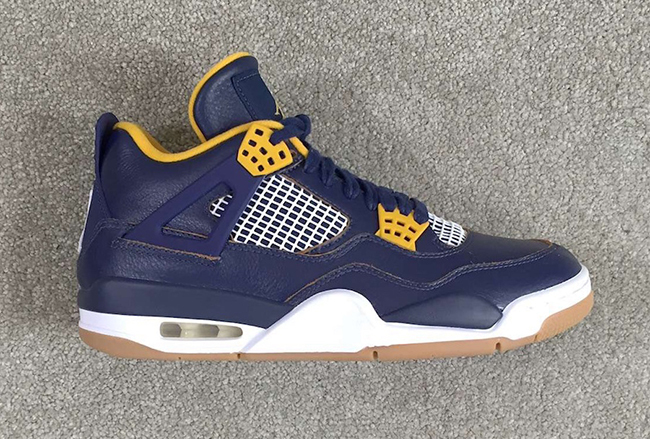 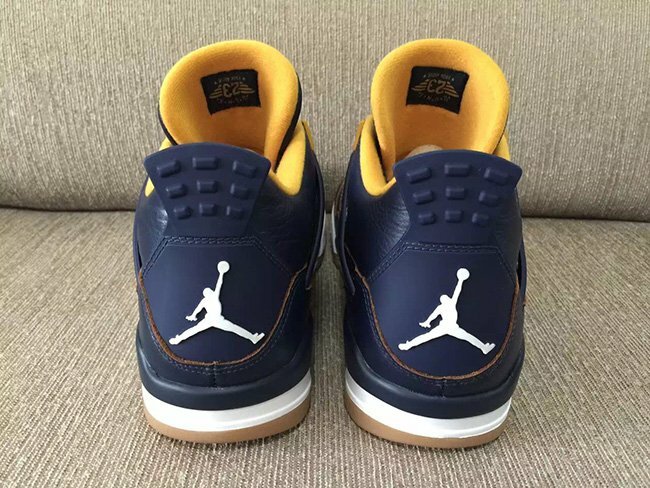 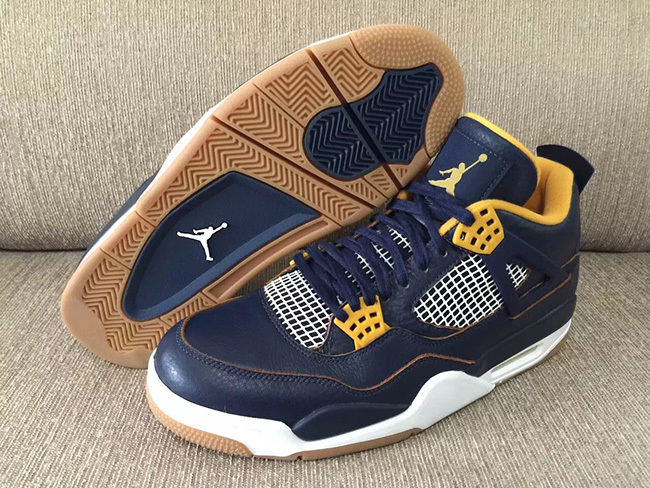 Update: New images have surfaced of the Air Jordan 4 ‘Dunk From Above’ Retro that will release during the month of March. 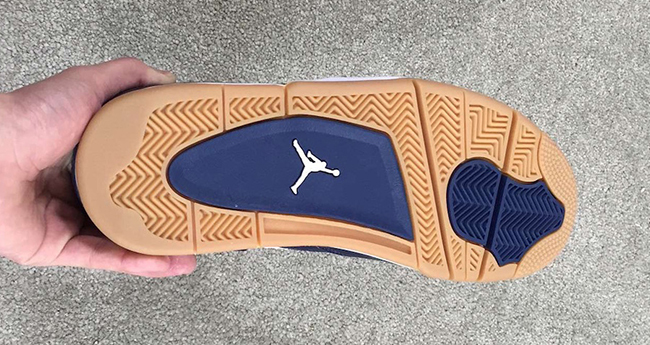 Since this is our best look to date, it shows us a few different angles we have yet to see. 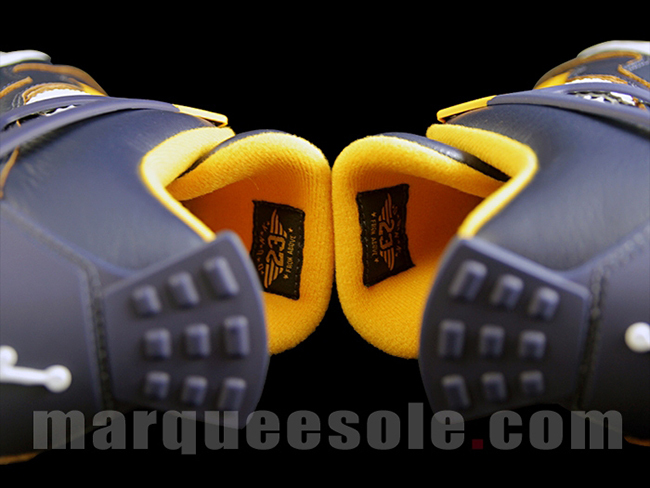 These new photos were provided by ajsole_com. 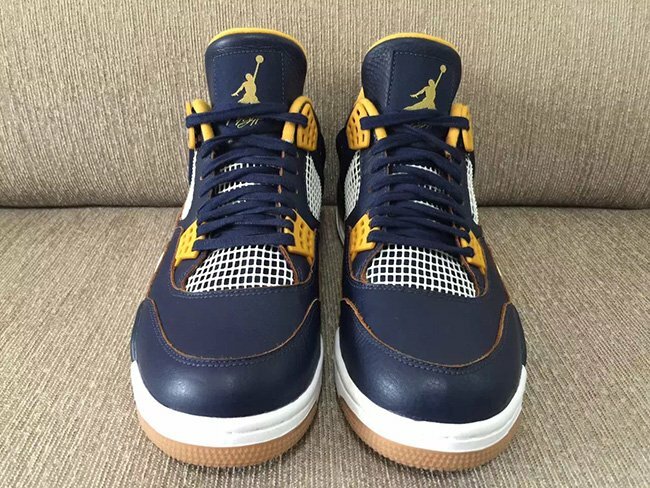 Update: We finally have a detailed look at the Air Jordan 4 ‘Dunk From Above’ that is set to launch on March 19th, 2016 thanks to us11hustla. 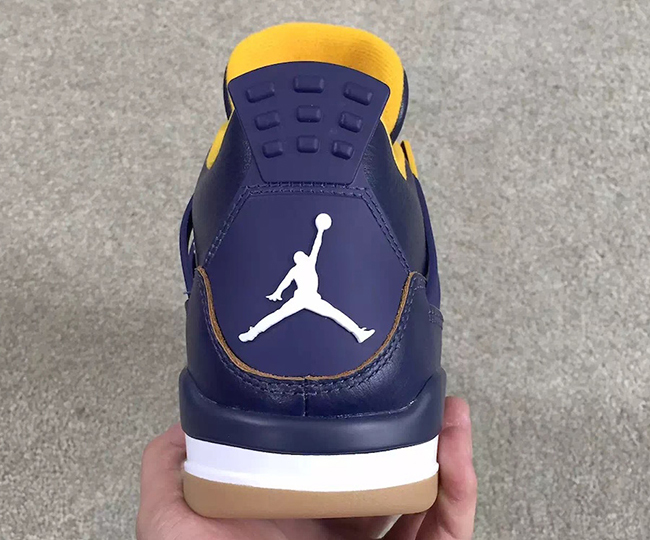 Update: Months after Jordan Brand released official images of the ‘Dunk From Above’ Air Jordan 4, we now have our first look at the model from zsneakerheadz.